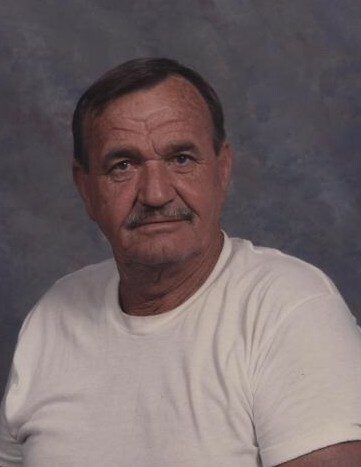 Funeral services for Bobby Wilson Owens, 83, will be held two p.m. Monday, January 21, 2019 at Healing Springs Baptist Church with the Reverends Jeffrey Ray, Jared Pemper and Dr. Thomas Terry officiating. Burial will be held in the Barnwell Memory Gardens on Reynolds Road. The Family will receive friends from noon until the time of the service at Healing Springs Baptist Church on Monday. Memorials may be made to Folk Funeral Home, P.O. Box 367, Williston, SC 29853. Bobby passed away on Friday, January 18, 2019. The family would like to thank Home Stead Hospice for all the love and care shown to them during this difficult time. Born in Myers Mill in Old Ellenton, he was a son of the late Gilmore S. Owens, Sr. and Dora Mae Wilson Owens. He owned and operated Bobby W. Owens well drilling, was a member of Healing Springs Baptist Church, served in the Army National Guard and was a member of the Blackville Masonic Lodge #63. Bobby was a family man, he loved to hunt, fish and always enjoyed telling the Legendary “Big Owens Chronicles”. Survivors include his daughters Lainie O. (Chad) Armour, Marilyn O. (Don) McCormick, Barbara L. (Tony) Brown all of Springfield; four grandchildren Candace Wilson (Shaun) Williams, Audrey Fogle, Stephanie Armour, Rod (Stephenie) Brown; six great-grandchildren Shaun Williams, Jr., Wilson Favor Williams, Cade Jack Williams, Adreanne McCowan, Micah and Reece Brown; brothers Gene S. (Betty) Owens of Williston, Joe B. Owens of Branchville, Gilmore S. (Janice) Owens, Jr. of Healing Springs; a number of nieces, nephews, great-nieces, great-nephews and his four legged companions Shorty, Susie and Squeaky. In addition to his parents he was preceded in death by his wife Jacquelyn Phillips Owens, son Gene Laird, sister Ernestine “Sis” Harriott, brothers Oscar H. Owens and Franklin D. Owens.